We have resolved to take action in one of the following Climate Leadership Commitments. We believe carbon neutrality and resilience are extremely high priority areas of action for all institutions and we aim to lead the nation in these efforts. We urge others to join us in transforming society towards a sustainable, healthy, and more prosperous future. An integrated climate commitment including carbon neutrality and resilience. Within two months of signing this document, create internal institutional structures to guide the development and implementation of the Plan b. Within one year of the implementation start date, actively support a joint campus-community task force (or equivalent) to ensure alignment of the Plan with community goals and to facilitate joint action, and complete a greenhouse gas emissions inventory, also identifying near term opportunities for greenhouse gas reduction. 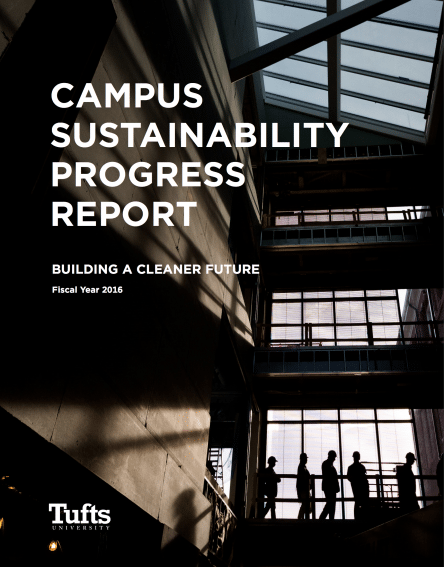 Report these in the first annual evaluation of progress c.
Within two years of the implementation start date, lead and complete an initial campus-community resilience assessment including initial indicators and current vulnerability d.
Actions to expand research in carbon neutrality and resilience. * The plan may be designed to augment an existing sustainability plan, written as part of a new sustainability plan, or as a standalone plan. An online guide is available that provides information on successful institutional structures, helpful templates on climate action plans, useful indicators of progress, guidance for reporting and much more. ** Assistance for developing interim milestones and a number of example tangible actions are available online and are regularly updated. Visit the Second Nature website for more information.